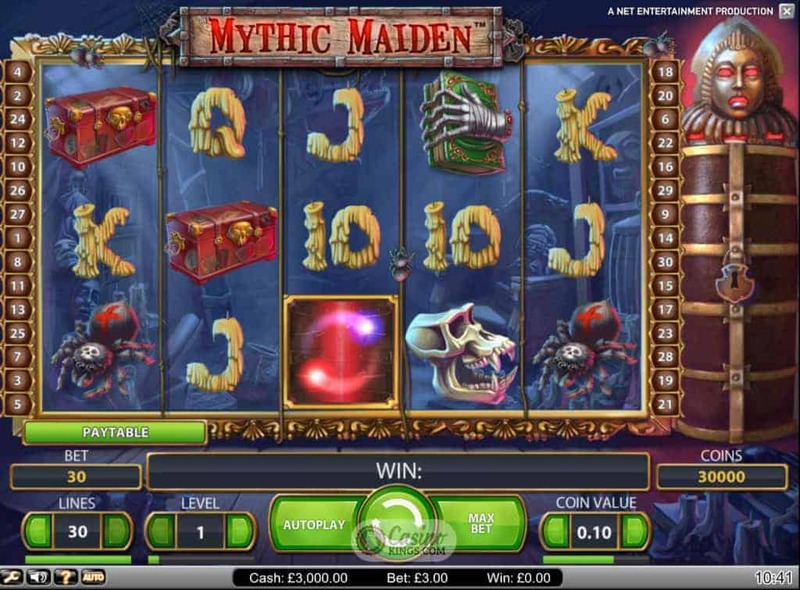 With the Mythic Maiden Slot game it poses the question, of all the online slot developers it could be argued that NetEnt have always favoured the mythical or legendary slots. Certainly the awards the Swedish outfit has won make them legendary. 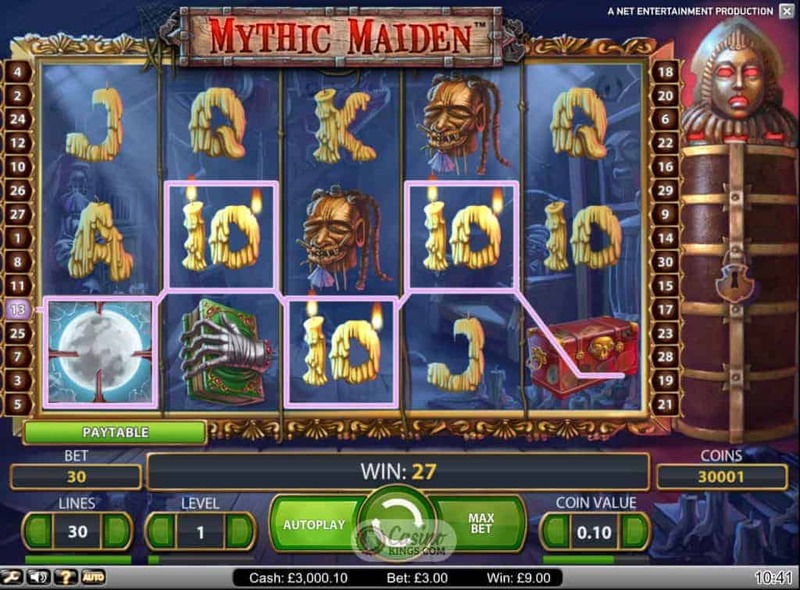 With Mythic Maiden we are on a quest to create our own legends – legends of slots players that seek out and find the elusive Mythic Maiden and return victorious with the bonuses it can bestow. 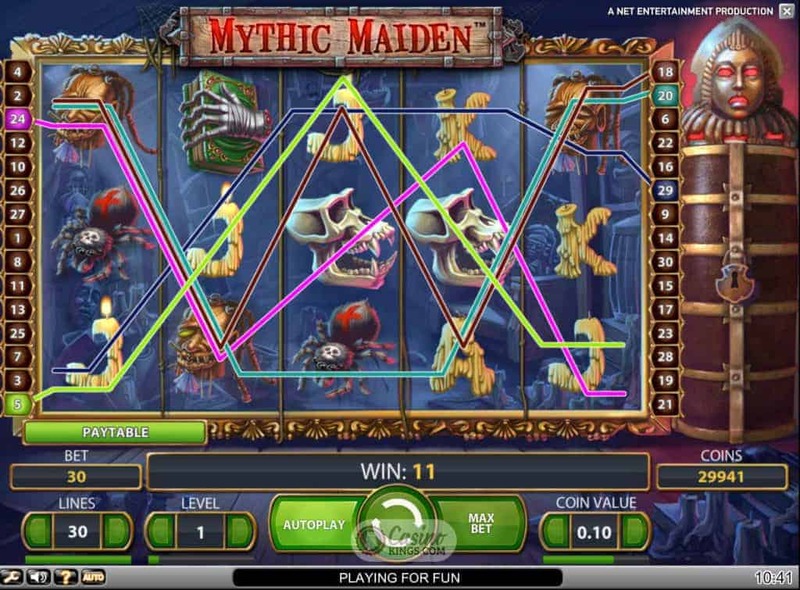 Normally NetEnt are very particular about musical soundtracks in their online slots, and in Mythic Maiden the music is very much noticeable in its absence. Instead, the sound score shoots for eerie atmosphere, with whistling winds swirling through dusty tombs as doors to unknown gateways creak scarily open and far off bells toll. It’s enough to give us the creeps, which is precisely the effect NetEnt are looking for, and the echoes of the theme in the sound score are replicated by echoes in the game’s symbols.The symbols are creepy to say the least, with high symbols of Voodoo Heads, Skulls, Tarantulas, Spell Books and Chests. Even the low-paying symbols ooze eeriness. The 10s through Aces appear to be made out of dripping wax that burst alight when they form winning combinations across the game’s 30 paylines. Even winning combinations are made creepy through the accompaniment of shrill chords, while the Wild Moon shimmers and reveals a skull on its surface when it completes a winning combination and multiplies any wins x3. The Maiden of the game’s title turns out to be an Iron Maiden rather than the heaving-busted kind which we may have been expecting and perhaps hoping for. 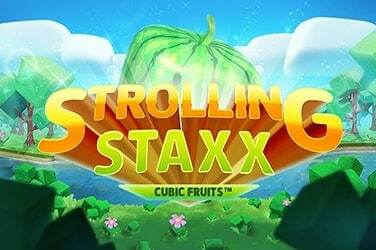 Landing three or more Swirling Spirit Scatters launches Mythic Maiden’s Free Spins feature, unlocking the Iron Maiden and awarding 10, 15 or 30 Free Spins depending if we land three, four or five Scatters. 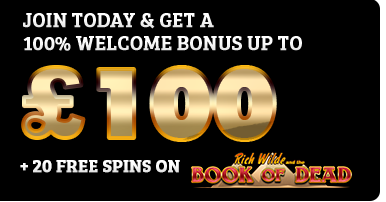 The Iron Maiden reveals more swirling spirits and holds the key to our quest for mythic wins, for with each spin the Iron Maiden grants an extra bonus, either a multiplier up to x10 or up to two more additional spins. 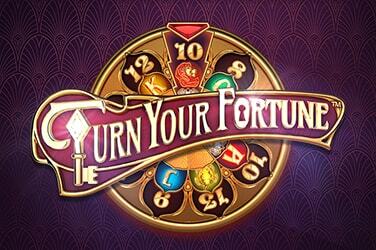 As you would expect from a NetEnt title the sound and game design is first class. NetEnt transports us to the world of spirits and the Undead – witness the various skulls and heads blurringly surrounding the reel case. 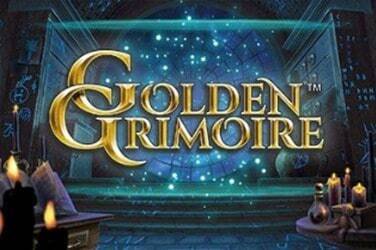 The various multipliers and bonuses granted by the Wild Moon and the Mythic Maiden we seek make this a quest that we all will wish to tread, but we might just do it with company and the lights on.